Allochrony, or the asynchrony in breeding times, between conspecifics can lead to reproductive isolation due to temporal assortative mating, and so to population divergence and speciation. In sympatry, allochrony may be the key driver of reproductive isolation. Alternatively, it can enhance isolation and genetic divergence between allopatric taxa through reinforcement following secondary contact. The NE Atlantic gadfly petrels (genus Pterodroma) are three closely related Macaronesian seabirds: Zino’s petrel (madeira taxon) breeds on Madeira island, Deserta petrel (deserta) in the nearby Bugio islet (Desertas group), and the feae taxon in Cape Verde. The three taxa are asynchronous breeders. Their taxonomy, evolutionary history and ecological specializtion are still debated. Phylogenetic studies suggest that the Madeira archipelago was colonized twice, first by the ancestral madeira taxon, and later by the deserta, under a scenario of allopatric speciation. A more parsimonious scenario would suggest instead an ancestral feae followed by divergence in sympatry of the two Madeira lineages. 1) What is the evolutionary history of the three taxa? Does divergence between the madeira and deserta taxa follow a sympatric speciation by allochrony scenario, or instead illustrate a case of allopatric speciation followed by secondary contact and allochrony reinforces lineage divergence? 2) Is there evidence for a genomic basis of breeding time in Pterodroma? Is there a signature in relevant genes, such as those linked to the circadian rhythm, suggesting that the two Madeira taxa might be responding differently to photoperiod cues? 3) Is there evidence of ecological divergence between the two Madeira taxa, suggesting they are responding to environmental cues related to seasonal allochrony? Are they both enhancing lineage divergence through local adaptation? Determining the genetic basis of life history trait differences in natural settings can lead to a extensive understanding of their evolutionary significance and contribute to species conservation. In particular, studying the genetic and ecological basis of phenological variation is of critical importance, when climate change is testing the ability of species to adapt to rapidly changing conditions. This project also has a strong educational component. 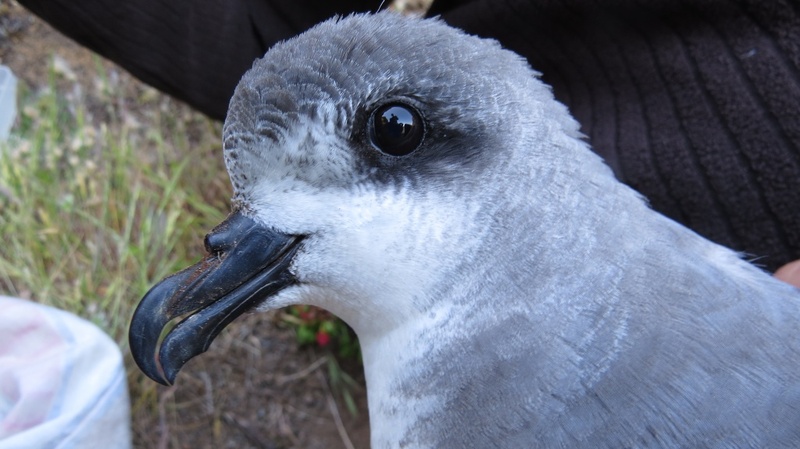 We will raise the general public awareness about Portugal’s exceptional seabird diversity through an itinerant multi-media exhibit which presents Petrels as a keystone species in marine ecosystems and why their conservation is vital for a healthy environment. As a whole, our team, which has a long history of collaboration, is proficient in the required fields, including population and phylo-genomics, molecular evolution, ecology and outreach, which will allow us to successfully address the goals of this project. Project team: Vicki Friesen (Queens U, Canada); Paulo Catry (MARE); Dília Menezes (PNMadeira/SRARN); José Pedro Granadeiro (CESAM); Cristina Luís (CIES).